Super members suffered sharp declines in December 2018, pushing many into negative territory for the year, with the likelihood of further losses over coming months as market volatility and political risk continue to challenge the outlook. 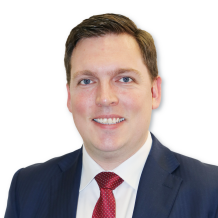 The latest data from superannuation research house SuperRatings, reveals major fund categories all suffered declines in December 2018, contributing to an already horror fourth quarter. 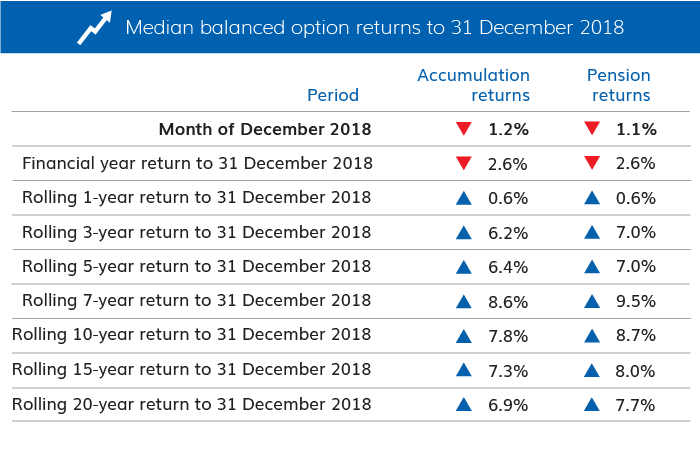 The median return for the Balanced option in December was -1.2 percent, contributing to a loss of nearly 5 percent for the quarter (-4.7%) but keeping members just above water for the year, with a gain of 0.6 percent. Interim results only. Median Balanced Option refers to ‘Balanced’ options with exposure to growth style assets of between 60% and 76%. Approximately 60% to 70% of Australians in our major funds are invested in their fund’s default investment option, which in most cases is the balanced investment option. Returns are net of investment fees, tax and implicit asset-based administration fees. Members in the median Growth option or exposed solely to domestic or international equities were not as fortunate. Growth option members suffered a -1.7 percent decline in December and -0.3 percent for the year, as heavy losses in the fourth quarter clawed back earlier gains. Members in the median Australian Shares option experienced declines of -0.9 percent in December and -3.4 percent for the year, while the median International Shares option recorded a loss of -3.9 percent for December and -1.7 percent for the year. 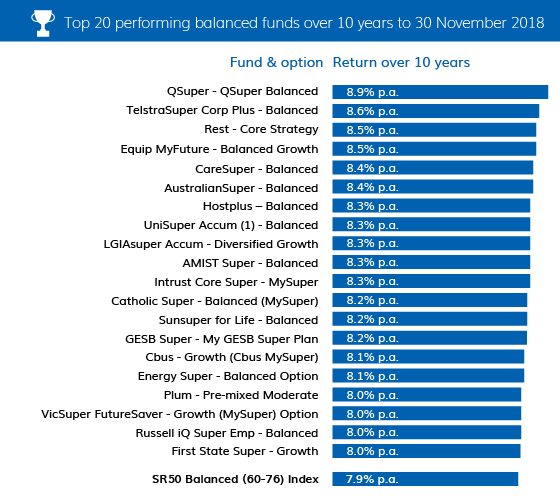 Despite the declines, super members remain well ahead over a ten-year period, with $100,000 invested in the median Balanced option in December 2008 now worth $204,264, while the median Growth option is worth $215,051 over the same period. 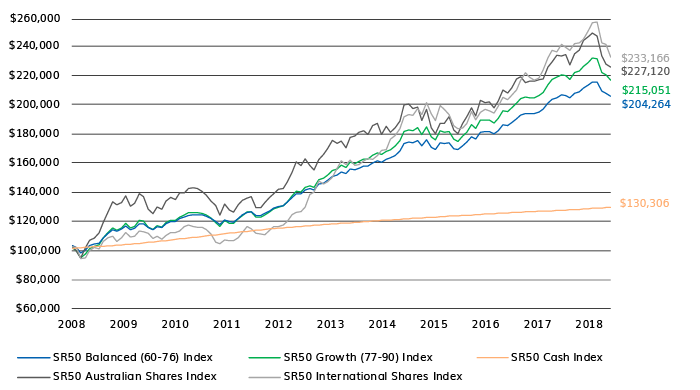 Those invested in domestic and international shares have performed even better over the last ten years, despite a more volatile 2018 with $100,000 invested in the median Australian Shares option in 2008 now worth $227,120 and the median International Shares option rising to $233,166 over the same period. Meanwhile, $100,000 invested in the median Cash option ten years ago would only be worth $130,306.